St. Anton am Arlberg – not only a great experience in winter! Unique climbing experience in alpine mountains! St. Anton am Arlberg has a lot to offer for climbing fans in summer. The Arlberger Klettersteig („Arlberg Via Ferrata“) leads high above the Stanzertal and above several peaks of the Lechtal Mountains. The scenery and views are breathtaking. 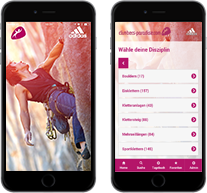 There are also several sport climbing gardens such as the Schnanner Klamm with 36 routes in average difficulty. The Schnanner Klamm is also recommended on hot summer days. There is also a beautiful multi pitch. If the weather is bad, there is a relatively new climbing gym Arl.rock which is more than 900m² big. Thinking of St. Anton am Arlberg and the enclosing mountains, you might think of skiing, pistes and winter sports only. However, the region has also a lot to offer in summer: you can explore the surrounding mountain pastures, discover culinary specialities on the mountain huts and enjoy the magnificent views of the surrounding mountains such as the Lechtal Alps and Verwall. You can also hike up the wild mountain streams. Visit the climbing garden close to Darmstädter Hut („Darmstädter Hütte“) at an altitude level of 2.384 m. There are three sectors with more than 37 routes. However, don’t underestimate the hike up to the hut which takes approximately three hours. The High Rope Garden in Verwalltal, next to the Rosanna stream on the Arlberg, should be on every family’s list. You can even climb through the forest canopy at over 6m above the ground! If you love extreme experiences, explore the winter via ferrata on the Arlberg. It is an exciting experience from mid March until the end of April though this is only recommended for experienced alpinists. The Arlberg-Well, an indoor and outdoor bath, is a fun experience for the whole family. Have a close look at their homepage for more information! Visit the Museum of St. Anton am Arlberg to learn about the history of the village and the whole region. Afterwards, don't hesitate to visit the restaurant and enjoy panoramic views of St. Anton and the surrounding mountains. Another local museum is located in Lech – the Huber Hus, where you can learn about the regional history of farming living and working culture.